Travelling along part of Thailand's Southern railway line, train 255 is an "Ordinary" service that departs from Bangkok's secondary railway station, Thonburi and terminates in the province of Chumphon at Lang Suan. Although not the fastest way to travel, the 255 is handy for smaller destinations along the Gulf of Thailand's coast that the Express services do not stop at. The 255 is different from most other Ordinary train services in Thailand as it offers both 2nd and 3rd class fan cooled coaches, while all other Ordinary services on the Southern line are all 3rd class seats only coaches. 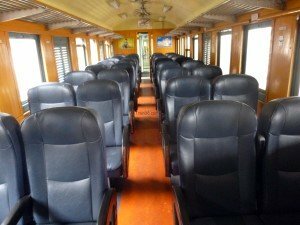 These trains are a very cheap way to travel around Thailand and if you wanted to travel all the way from Bangkok to Lang Suan in 3rd class it would cost just 90 Baht. 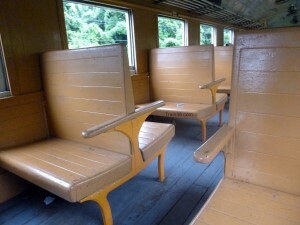 A 2nd class ticket on the 255 for the same journey to Lang Suan will cost you 207 Baht. Calling the 24 SRT Call Centre on 1690.